When you hear about “Laser Dentistry” most people have images of Star Wars. The truth is Laser Dentistry is much more gentle. Lasers are found in products you use every day including DVD players. CD players and supermarket scanners. Most of our patients that have experienced Laser Dentistry prefer it to the old needle and drill. Dental lasers have been approved for use by the FDA for children and adults. Our dental laser was designed specifically for use on teeth and the soft tissues of the mouth. A dental laser generates a beam of concentrated light. The beam of light brings energy into your child’s mouth to help us remove areas of tooth decay and infection with precision and accuracy. The laser beam sterilizes the affected area and seals off blood vessels, which minimizes the chance of infection and bleeding. Laser dental patients are much more comfortable both during and after treatment, because in most instances, the need for anesthetic injections is eliminated, as well as the associated side effects. Heat and vibration are the causes of much of the pain associated with the drill. Since water laser cutting does not transmit heat or vibration, most dental procedures can be performed without discomfort, virtually eliminating the need for anesthesia in most patients. We use the Biolase Waterlase MD in our office. Biolase first introduced the first Waterlase in 1996. Our Waterlase MD is the second generation of the Waterlase line of lasers and incorporates greater adjustability, and improved design than the original Waterlase. After years of investigating the technology and benefits of dental lasers, we purchased our Biolase Waterlase MD in 2006. We are one of the first Pediatric Dental offices in Pennsylvania to utilize Dental Lasers. We feel dental lasers are the future of dentistry. Our office has the future here, today. Super friendly and awesome with kids! I can't say enough nice things about Dr. Hans and his team. The whole office is absolutely phenomenal with my 4 kids. This past cleaning my 3 year old had a stink face on the moment they called him to go back, within a few minutes Dr. Hans had him smiling and laughing! They are also amazing with following up after big procedures. Each time my daughter has had to go in for cavities, Dr. Hans has called to check and see how she is doing. I would absolutely recommend this dental practice to other parents. I am blown away by Dr.Hans and his team. From the moment you step into the office, you are greeted by friendly faces and a wonderful atmosphere. My son was a little apprehensive, but Shelly and Dr.Hans put him at ease. They were efficient and professional. The entire process was so smooth! I will definitely be referring people here! Thank you so much Children's Dentistry of Trappe! I was referred here buy our regular dentist for my 8 year old son. He felt it would accommodate him better for his age. They were absolutely amazing! He was comfortable and spent most of the appointment giggling! I was almost equally entertained by the dentist! I scheduled my 15 month old daughters first appointment today before we left. I have complete confidence in the staff! I already personally recommended this office on my fb page! I am so happy we found such a great children’s dental office!! I am amazed at how wonderful of an experience we had today for my 3 year old daughters first trip to the dentist. Everyone went above and beyond to make her feel special and excited to be there. I truly felt like she was the customer. Funny enough, she actually cried but only when we left because she wanted to go back! The staff is very friendly and you never have when you arrive for your appointment like for most medical visits. We have been going to this office for years and are very satisfied. Dr. Hans did a great job making my 3 year old calm and comfortable. He used Paw Patrol lingo (my son’s favorite show) to make having a cavity filled sound fun. My son left with a smile. Thanks to the hygienists, my son now understands the science behind why he should brush! During his cleaning, the hygienist took time to discuss and educate him on how bacteria eats away at the teeth. He spoke about it all evening and I learned some things too! Very child friendly and that makes for happy parents. Thank you for taking care of my son! Our experience with Children's Dentistry of Trappe has been nothing short of phenomenal. The staff and Dentists are world class. They treat the children and parents with respect and take time to explain all procedures, tools, and take the time to make little ones comfortable. They really do a great job with appointment scheduling and reminders. I highly recommend this practice to anyone with children or teens. Great with an upset toddler! Dr. Eric handled my crying 3 yr old amazingly. Within a few minutes they were both laughing, the cleaning and exam were done lickety-split, and my son has a new best friend! I'm a male and 22years of age and I've been with Dr. Hans for over 15yrs. or so. His staff has always been friendly with exceptional service. I highly recommend him and his staff. They are true professionals. All of the staff were patient with both of my children, especially my son who was very nervous about getting x-rays! The staff was very friendly and the atmosphere was happy. The dentist personally called us before the appointment to address questions beforehand. At the appointment, The Dr. took his time with us and told us his recommendations but was not pushy at all. He answered all our questions thoroughly and made us feel at ease about a future procedure. I would recommend him to others and we will continue dental care here. The office staff is very friendly and inviting. The office is very kid-friendly, neat and clean. The dentist personally called us to welcome us to the practice prior to our first appointment. Overall, it was a great first visit. Always a great experience for my little one! The staff is friendly, efficient and great with kids. Dr Hans and the entire staff are simply the best. I was so impressed with the speed and flexibility of scheduling of my daughter’s recent dental “emergency” and the calming way you eased her concerns. You are also incredibly focused on giving back to the community and are always looking for ways to be more than a dental practice. Thank you for everything you do!! I brought my two children and they were seen immediately. Staff was friendly and courteous. Paul did really well today at his first dentist appointment. I believe it was because of his dentist being so wonderful! Who would have thought of a baby having on his first visit doing this well? Thanks a lot. I believe the care the kids receive is good. However, I am concerned about their check-in practices. I don't feel comfortable discussing my child's health history in the waiting room. This practice seems to violate any privacy or HIPPA guidelines. I believe any discussion about insurance or health history should be done in a private setting. I hope the office changes the check in procedure. This was our 2 year old's first visit to the dentist and it was absolutely amazing from the moment we walked through the door. From the tour of the office, to the variety of kid themed rooms, to the endless toys and stickers (and everything else your child could possibly want!) our whole visit was truly a positive memorable experience for our toddler. The entire staff was knowledgeable and friendly, and we can't wait to go back in 6 months! As always the staff was friendly and courteous. The Office Staff was very pleasant and helpful. The Dentist team is very knowledgeable and helped eased my nerves, as my son was very relaxed. I explained our family history of dental issues; Dr. Eric and the team explained that I was doing a good job, in addition to taking some extra preventative measures to alieve my worries. We have been going to Children’s dentistry for over 3 years now. I can only say amazing things about all the staff and both Drs. The scheduling is always easy for us and the office gets us in together so both kids can get in and out at the same time. Recently my oldest had to have two baby teeth removed. The staff took care to reduce trouble and increase comfort. The staff and drs are so unbelievably professional, empathic and caring. We can’t thank them enough for making children’s dentist visits fun and anxiety free. I've been taking my 3 kids to this practice for about 10 yrs and don't have anything bad to say about them. We see both dentists and they are both great. The entire staff are wonderful with all of my kids. This week was the first time I was called asking to switch my appointment time because of an accidental overbooking. When they realized I had 2 kids coming in they apologized and said don't worry we will make it work for you. Both of my children were called back at the same time and we were in and out of the office within 45 minutes. I love the staff and their work. We have been going to the practice for years. We love Dr. Eric and all of the staff. They are all extremely friendly and caring. They make the kids and parents feel at ease. They explain everything that they are doing and are very compassionate while doing it. I would HIGHLY recommend this practice to anyone looking for excellent dentistry care. My 15 year old daughter has her first cavity found during her regular cleaning. She's a nervous Nelly and anxious about having dental work done. Everyone was great calming her to prepare her for her upcoming visit. This practice is always professional and great. We initially found Children's Dentistry of Trappe, years ago, new to the area, when my toddler injured her teeth, mouth and gums at daycare. Their attention to her and ability to welcome us into the practice under an emergent state made us continued patients. Years later, my current toddler cracked a tooth at preschool. Again, the care and comfort provided by Dr. Hans and his staff always puts me at ease even in the worst situations. I could not ask for a better experience and I leave knowing that they provided the best care and the best advice specifically for each situation. I can't say enough good things about Children's Dentistry of Trappe. While we only have one appointment under our belt it was truly gratifying. I called the office at 4:15pm and explained that my daughter had just left her regular dentist and she was being referred to a pediatric. When they understood the severity of the situation, the asked me to come in immediately. What office takes a NEW patient at 4:30pm?? They got her registered, evaluated and cared for. All while making it seem that it was no big deal. Well it was to me. You saved my daughter from being in pain and helped our family out greatly. Thank you!!!! I love this office!! My son was terrified today and Dr Hans and his assistant calmed his fears. The staff is efficient and friendly. Kaitlin walked out with the customer appreciation prize of an echo dot!! It was a great day all around and no cavities. My son LOVES going to the dentist and it is because of Children's Dentistry of Trappe! Dr Eric and the entire staff are so friendly from the minute you walk in. Their communication is great before you even walk in, they remind you of your appt in so many ways! I was very impressed with this office! The waiting room for the kids is amazing! They were all very friendly and also kid friendly which is very important! Definitely made going to the dentist a fun experience for my 5 year old!! Next we will see how the 2 year old does!! We love our pediatric dentist office! Always courteous and kind to the kids. Devoted to the kids and making their teeth happy! I went to this dentist when i was younger, my sister goes here and now my daughter does. This was her first appointment and she was definitely a little terrified but the staff took the time to calm her down and make sure she knew they weren't there to hurt her but to help her! They never lost patience and made sure to gain her trust before doing anything to her teeth. You can tell the staff love their jobs and kiddos !! Thank you, again. The staff, especially, Kaitlyn, was extremely helpful and pleasant working with me in scheduling and rescheduling appointments -it was greatly appreciated. I love the texts, emails and phone calls I receive regarding the upcoming appts. It helps with the crazy schedule we keep so we don't miss the appointment!! We were new patients referred over because my daughter had a deep cavity that needed taken care of. The moment we walked in the door she was given the royal treatment! A tour of the office was provided and we were seen promptly. The entire staff just knew how to treat kids and make it fun instead of scary. Dr. Craig ended up doing an emergency procedure because we had to leave for vacation and it was done with the best care and attention. In my opinion this is the BEST place to go for kids! Very happy with the service we receive but the last several appointments, we have been there over an hour. That's too long for a six-month check-up. My son, Dylan had his first SDF treatment yesterday. He did so well during the treatment, cried afterward (I think because he was pretty tired) and then quickly got over it at home! He said Dr. Eric is one of his best buddies and makes his teeth all better! That's a great thing considering his last dentist was a "meanie"! Thank you again for being so patient! My kids, all four of them, got their teeth cleaned and X-rays done. They took us all on time, were super nice and efficient. The doctor took the time to talk with me about each child after. Love this office. Great experience! Received friendly and efficient service for teeth cleaning. We love it at Childrens' Dentistry of Trappe! We have been visiting this office for about 12 years and love it! From all the hygienists in the office to Dr. Eric and Dr. Craig it's like visiting family! We have never had a bad experience. We would highly reccomend this office! Our visit to Childrens Dentistry of Trappe was extremely positive from the minute we stepped into the front office. We were greeted immediately by the receptionist. Our wait time was less than 5 minutes. The dental hygienists explained exactly what procedures were being performed on each of my children (cleaning, x-rays). She also verified allergy updates and changes in health. Dr. Craig examined both of my children after their cleaning and answered my questions. He is very personable and did not rush us at all. My children have been patients of this practice since they were old enough to visit the dentist and they are now 17 and 14 years old. We would definitely recommend! What a warm and welcoming staff! Dr. Craig was awesome; very patient, listened, answered questions without making us feel rushed. First visit and we left feeling extremely glad me made the switch! My son's teeth came in missing enamel and Children's Dentistry of Trappe treated him for free at the age of 2 to prevent further damage. They have provided care for all of our children ever since. He is now 17 and has had only 2 cavities, has a beautiful smile and has no qualms about going to the dentist. They submit claims to the insurance so you don't have to. They are wonderful!! Friendly, informative staff puts children and parents at ease! Left today after another great appointment! Going to the dentist can cause anxiety for parents and children but the staff here is so kind and friendly that it immediately disarms. I also like that I can bring all of my children here ages 6, 12, and 13 year old! Extremely Positive & Wonderful First Visit! Our very first trip to the Dentist was to Children's Dentistry of Trappe...and I am so glad we chose this office for our child. Their office was so nice, they had toys and iPads in the waiting room for the kids and were showing all of their favorite shows on the TV's. The staff is beyond wonderful and friendly. The front office employees were exceptional. Went above and beyond to ensure we were taken on time and our little one had a tour of the office. They even helped out when I had a time crunch and had to be finished at a certain time. They were very happy to oblige. My toddler is 3, so I was nervous about how the actual check up would go. The Dr. was amazing! Took time to explain to my daughter what he would be doing by using a stuffed dog. He also asked lots of questions about her and talked to her like a human (lots of Dr.'s don't do this). I was so impressed! My little one did not want a check up and did not allow the Dr. to actually get to her mouth but after some coaxing and sitting on my lap he got the job done. He even reassured me about how most children do their first time and not to feel bad that is was in my mind, an epic failure. We cannot wait to go back and have already scheduled a follow up. I am so happy we went to Children's Dentistry of Trappe! I highly recommend if you have little ones that you go. Dr. Baer always does a great job. He's patient with the kids and does his best to keep them relaxed when they get upset. He also communicates well with parents. The dentist is patient and a joy to work with. The hygenists were delightful, gentle, and understanding. My kids had double chocolate cookies shortly before their check-up, and the hygienist was cool about it - "it's summer! Homemade cookies - what a great mom!" My son had to get a cavity filled today and, as a mother, seeing your son have any procedure is difficult. But it was so great knowing he was in great hands. The staff and doctor were so good to him and kept him aware of what they were doing and how long he had left. Plus, He felt good about them complimenting him on his good behavior. It was a good feeling knowing they were taking such good care of him and he was not at all frightened. My child has extraordinarily high anxiety at the dentist and I don't know how we could get through it without Dr. Hans and his wonderful staff. My daughter trusts Dr. Hans and because of his wonderful bedside manner she has developed a wonderful relationship with him over the years - which is priceless. My son was in to get sealants put on his new molars. We have been at this practice for 11 years and have not had any issues. My kids have great teeth so we haven't had a lot of work done. But my daughter needed her frenum cut and they did it with a water laser. No bleeding and not much pain. Back to full gymnastics practice after 2 days of easy going. Love both Drs. Very positive visit. Staff very helpful. Care received excellent. Whenever I take my daughter here, she's seen right away and the staff is pleasant. We have been going to Dr. Hans & Dr. Craig for 5 years now. The entire staff has always been wonderful and has shown immense courtesy to our entire family. It is a relief and privilege to know our children will grow with this office. Everyone in the office was (except the young assistant) was very friendly and welcoming!! Dr. Eric was wonderful and patient with my 8yr old. Thank you so much for your kindness!! I look forward to many more pleasant office visits. I always recommend Children's Dentistry of Trappe to my friends. They specialize in pediatric dentistry and are great with kids. They go out of their way to make a new patient few comfortable with the process and even make it fun! The office is always on time, the dentists and assistants are friendly and great with children! I was so impressed with Children's Dentistry of Trappe. My son can be shy in new situations, but he felt right at home! The toy room is clean and fun for little ones, and the office is bright and cheerful. I loved that we were given a tour before his appointment-it made us all feel comfortable in a new environment. And Dr. Eric was so friendly and patient - my son was able to cooperate well because Dr. Eric made it a fun experience. So pleased with everything! Dr. Eric is beyond patient and supportive of my two children with severe Autism. He takes the time to work with them in a manner that works for them. We are beyond grateful for all the tolerance and time Dr. Eric takes with us in order to ensure our kids continue to have a positive experience. Dr. Craig is awesome! My daughter has very high anxiety over dentist visits and due to some tooth anomalies she is there more than normal. Dr. Craig and all the hygentists have been excellent at keeping calm and her mind busy while Dr. Craig works his magic! They were excellent with my 4yr old daughter today! From the receptionist to the Dr. they all made my very scared daughter smile! We have been going to Children Dentistry of Trappe since we moved to Skippack 13 years ago. They are provide high quality dental for children. We absolutely love all the dental hygienists and Dr. Eric. Dr. Eric has a way of making everything seem like a "piece of cake". Dr. Eric is extremely knowledgeable and very easy to connect with from a parent and child perspective. We love coming back and meeting with the team. BOOM!! The easiest 30 minutes every 3 months we spend. I've never had a bad experience here. All staffers are professional. Unlike when I go to other doctors or dentists, there is never a long wait time. Appointment times actually mean something!! Everyone is friendly, and all procedures and services are explained in detail. The kids love it too - as much as a kid can love the dentist. They have TVs tuned to kid channels, and 'prizes' at the end for the younger ones. My children have been patients here for about five years. The staff members are friendly and personable. The office is always neat, clean and welcoming. My children never have any complaints about going to the dentist because everyone is so warm. My only complaint would be that they don't take our insurance directly, so we have to pay for the services up front and then wait to be reimbursed by our insurance company, and we are never reimbursed in full. The office staff does take care of the paperwork. I bring my two kids here (ages 5&7) and we always have a pleasant experience. Excellent experience again. Holly had a nice a relaxing experience, even though she was having cavities taken care off. Kind, patient and sweet with my kids. They enjoyed their experience and have talked about it all day to others. From the minute we walked in, it was a great experience. Our appointment was for 5:00, and we were early. We were met by what I would describe as the greeter/mover of things along person, almost immediately. My son was in the chair before 5:00, which never happens at Dr. Offices. There was a very short form to complete, the greeter was discreet with any discussion being held and the hygienist was thorough. The dentist was honest, telling us that he would not provide braces until our son was cleaning his teeth appropriately, otherwise we'd have more troubles down the rd. We were in and out with clean teeth, instructions and supplies, and our next appt, so efficiently, I'd call it my best experience ever with an appointment of any kind. Dr. Eric was wonderful with my 6 year old daughter. He made her feel comfortable and talked her through each step. I recommend him to all my friends and family. Thank you!! It was a great first dental visit for my 2.5 year old! They made my little guy's first visit to the dentist a very positive experience. Dr Bair talked to my son and explained everything that was going on in a one on one tone that let my son know he was important and was the person being spoken to. I love this dentist office. The staff are always so nice and have fun with the kids. They create a relaxed atmosphere for the them which helps a lot, especially when there's a cavity that needs filled. I wish they had offices like this when I was a kid. Dr Eric was exceptional with my 2 year old. He was extremely gentle, caring and professional. I was dreading this visit because my child does does like doctors but it turned out to be pleasant for everyone involved! I would highly recommend Dr Eric to everyone! Very friendly and understanding to my child's fears. I was very happy right at check in at how nice everybody was. The assistant that came to take my son back to exam was awesome with him she made sure she made him feel at ease. Dr.Hans was great. His tone was soft spoken and not rushing the scene at all. He explained everything he would do before and even let my son use the different items on a stuffed toy first to gain the trust of the child that it would not hurt. I was very grateful that Dr Hans did not push to do anything as soon as he seen my son becoming scared he stopped. I was very happy with the whole experience. Thank You. As always the staff and Dr. Eric where great. Courteous, professional staff. Dr. Eric is AWESOME with the kids and relates to them at their level. Fear of the dentist...not anymore! I can not thank your office enough on how wonderful you have been to myself and my son Christian. He has lost his fear of the dentist with Dr. Hans and his office crew. Can't thank you enough! I'm amazed and appreciative of the staff everytime I visit the office! Everyone at the office always has a smile on their face and is happy to do their job. I'm blown away at the exceptional experience. The office is always very clean and offers a welcoming atmosphere. The playroom is a great way to engage children during the wait (which is never very long). The doctor does a wonderful job of creating a warm first time dental experience for children. I hands down would recommend this office! Everyone was very nice and patient. Both my very young kids go to this practice. My daughter has special needs and has high anxiety is treated so well! They accommodate to her needs and I can tell that both Dr Eric and Dr Craig are so patient and understanding. My kids actually look forward to going to the dentist. Thank you for making this a stress free experience and for being so great with my son's multiple allergies. My 2.5 yr old was being shy although she had been to this office a few times already. Dr. Hans was very patient with her and she warmed up and started chatting at the end of the visit. Very pleased with my experience today with Dr. Hans and staff. My daughter had a cavity and as always, was in good hands getting it fixed. I brought both my kids in this evening. The hygienists are always friendly and had both kids in, cleaned, had films done in less than an hour. My son was given quality care in a very child friendly atmosphere. I've taken my daughter to quit a few dentists over the years, and most of our experiences were horrible. It seems that pediatric dentist are now practicing what I call "assembly line dentistry." I speak for both my daughter and myself by saying that everyone here is extremely friendly and professional. Not once have I received bad advice, or questioned that the dentist wasn administering proper care. They always make sure that she is comfortable, and that she is not afraid to go to the dentist. They also have private rooms so we don't have to see other kids getting their teeth cleaned, or hear other kids crying. The wait time is never extremely long like some other places. They definitely seem to care about each and every patient that comes in. Our insurance is not in network here, but I refuse to go anywhere else. We love it here! The staff and dentist of Children's Dentistry of Trappe are all extremely professional, helpful, and provide the right level of service for their patients. All of the procedures, tools, and implements the dentist used were explained to my children first and then to me in language that was easily comprehended by my children and me. A wonderful playroom with devices mounted on the walls and a TV (to distract the kiddos) allow parents to take a five minute breather to fill out paperwork. Each room has a different motif and cartoons to entertain all kids (big and small). Great service. Great professionalism. After a poor experience at another dentist I decided to give Dr. Eric Hans a try. I had heard good things about him and his practice and they weren't wrong. At our initial consultation Dr. Hans connected with my four year old son and put him totally at ease. Today my son has two cavities filled, and it was like a dream. No crying, no fear, no wanting to leave. The procedure was done quickly and easily. My son would cry when we would pull into the lot for his old dentist. When we left today he was already talking about his next visit to Dr. Eric. Thank you Dr. Hans! Dr. Eric couldn't have been more wonderful with my son Brian today. His compassion, tolerance and patience with my son is appreciated beyond words. He made every possible effort to communicate with my son who is severely autistic and non-verbal and make him feel so comfortable with positive reinforcement and praise throughout his visit. Today was a monumental achievement for Brian! We couldn't have gotten through it without our best dentist ever, Dr. Eric! Everyone is great and so invested in each child. Dr. Craig took his time and explained everything he was doing in "child terms" to my daughter so she could understand and relate a little better. It lessened the anxiety she had about the procedure. This was my 2 1/2 year olds first dentist visit, and we were not anticipating it going well, but we were wrong! Everyone at Children's Dentistry is awesome!! They knew exactly what to do to make my son comfortable. I'm so happy! Thanks again. We are very ,very pleased with your customer service .Josiah is an extremely difficult patient when it comes to his dental care:therefore he has never been able to be serviced in the dentist office.The staff was very patient ,kind and gentle with him. my wife and I are extremely thankful to all of you for attention paid to our autistic child.also the info about the three sided tooth brush was very helpful. thank you very much: looking forward to my childs next visit. We had previously been a patient with Dr Hahn but left because of insurance. We went to another provider who did an enormous amount of work on my child. Today I called Dr Hahn's office for a second opinion on some of my sons work. His staff was not only extremely helpful, they saw us immediately. It turned out the work that was done was done incorrectly and the tooth needed to be pulled. Dr Hahn and his staff provided excellent service, he put my son at ease and made sure his teeth were fixed before he left. I can't express how grateful we are for both Dr Hahn and his staff. Professional, friendly and extremely helpful. I really like this practice and the employees. However, I was immediately told that I could not have a closed travel mug inside the office at all. I am an adult with no additional kids there. I can understand this policy inside the procedure rooms but not in the waiting room. What really led me to express this, is that I saw 2 employees walking around the procedure rooms with drinks. One was an open cup and the other was a water bottle. Please don't be hypocritical with your policies. Dr. Hans and his staff are amazing! My son is two years old and had his first cleaning today. He did an awesome job and everyone was very friendly and so nice to him. They all made his experience very happy. The office is very clean and up to date, they have a wonderful children's waiting room. Very friendly and helpful staff! Great first experience! Today my very anxious son had an appointment to just get accustomed to the procedures Dr. Hans will use when filling a cavity. They took as long as required to get my son comfortable with each step. Considering he wouldn't allow anything at many other offices, this is a huge step forward. Today's visit will help ensure a good visit and future visits. I have been coming here for years and absolutely love it here. Dr. Hans is an amazing dentist. The staff is always friendly and caring. My son needed to have the muscle frenum shortened and prevent future crowding/spacing issues. All went well - the procedure was explained, I was able to stay in the room during the work, and it was done efficiently and timely. The staff is always friendly and welcoming - and answers any questions we have. This office is the BEST ! The employees are so professional and caring! My son is 10 and I have been thru a few dentists because of staffing ignorance, not so nice Dr. And high prices! But Dr. Han and his staff are AWESOME! Great job again, my 2 1/2 yr old had his second cleaning and loves going to the dentist!! This is a tribute to Dr. Bair and the wonderful staff there. Highly recommend them! As always, we had a great visit today! My son was even surprised with a couple of magic tricks and loved them! I love everyone and everything about this office!! I wish I could get my dental work done there too!! Great job today fixing my son's broken front tooth. He's so happy with the results. Dr Eric is great with my daughter. Professional and friendly she had a pleasant experience. I only wish they would accept adults! My Sonny loves going. So nice and great with the kids! You am will be hard pressed to find better in the area! It was great. When we arrived we hardly waited 5 minutes and she was brought in and was done in around an hour. All the staff is very attentive and friendly. Both Dr Hans and Dr. Bain are very professional and easy to talk to. great patience and understanding of kids needs when visiting the dentist. great visit as always. punctual. patient with children. Great Environment and Staff for Kids! Took my 12 month old son for his visit to the dentist...Dr. Craig was great. He was very professional, and fun and patient with my son. No doubt he is great at his job and enjoys working with kids. The information he provided my regarding diet and oral care was very useful, yet not overwhelming. Great start to our many visits to the dentist! Always a great, professional experience at Childrens' Dentistry of Trappe! My children have been going to CDoT since they both were about two years old. We always have thought the doctors and assistants working there are top notch. They are very personable with the children and the parents, and make everyone feel comfortable for their appointments. I appreciate the information they share and the genuine care they provide to their patients. I would highly recommend CDoT to anyone. Overall, friendly visit. Comprehensive care. My son needs a filling though and I'm not sure I want a mercury filling. Do you offer non-mercury fillings? Dr Eric was amazing with my 2.5 yr old son. My son was not afraid - dr Eric made it "fun" to get his teeth checked and cleaned!! Wonderful. Everyone was professional, pleasant, prompt. and cheerful And on a Monday morning! Wonderful! I was nervous to take my son who has some sensory issues to the dentist, but Dr Hans was great!!!! My son sat thru the exam and let Dr Hans clean him. i was shocked. The staff was super friendly and helpful too. Highly recommend. Everyone is super patient and does a great job with the kids! First visit for my almost 2 year old he was so great with her! So thrilled! Dr Hans and the staff here is the best! The office runs on time. The care is professional, personal and cheerful. Total confidence here! Brought my son in and was greeted by the friendly staff upon entrance. I really enjoyed my son's first dental appointment. The staff and the doctor made our experience very comfortable. I would highly recommend this business. My girls are 3 and 5 and they love coming to see Dr. Craig! The hygienists are kind and gentle and make going to the dentist a fun experience for all of us! I brought my 2 year old son for an appointment today and it was a wonderful experience. Dr. Eric was so great with him, as well as the rest of the staff! 1st Appt. New Patient- Wonderful!!!! All I can say is WOW! The practice is all about SERVICE!!!! In many businesses this is a forgotten word, but the entire Staff is consistent by ensuring the patient has a positive experience from the initial interaction at the reception desk, in the chair, and at check-out. The Dentist takes time to explain everything to the parents. The Hygienist is terrific with children. Highly recommend anyone with children to call Children's Dentistry of Trappe. As always the experience was great. Would not take my son anywhere else. Always a great experience with Dr. Hans and his staff! The hygienist took the time to explain the reason behind asking for changes in health. Dental health affects the entire body. He also did a magic trick, which was pretty amazing! Michael had a wonderful experience with having his sealants applied. We were in and out and it was painless. I recommend this for security. My son had to have a filling and an extraction. He is usually a nervous person about doctors and dentists but this team of amazing professionals made him feel comfortable, relaxed and safe! The procedures were very quick, no wait at all! I would recommend this office for any young child!!! Was seen right on time and the office visit was pleasant for both my child and myself. The staff is so friendly and knowledgeable as well. Spoke not only to the parents but to my child as well so they were at ease the entire time! Craig was very kind and knowledgeable! We were very impressed. Wonderful with my 3 year old! We saw Dr. Craig for my son's first dental visit, and he was so great. No tears were shed until he didn't like the taste of the fluoride. The office staff were very friendly and helpful, as well. Thank you all so much! My 4 year old had a small cavity next to a larger cavity, which required a cap. Both were fixed very quickly and Dr. Bair was exceptional with my little guy. Very impressed and very happy with the entire procedure! I wish I were a kid! This is an awesome practice. The staff is so friendly and helpful, I don't think I have ever seen a frown in the office. My son's only complaint was, that he is 13 now and the videos in his room was geared toward the very young. I'm sure we could have requested a change but everything happened so quickly. Everyone is so professional and nice. This was my daughter Kayla's first dental experience and the dentist made it so fun and enjoyable for her. She couldn't stop talking about the dog with the big teeth;) Thank you again for making her first experience so pleasurable. We really enjoyed our visit to your office today. The staff was very kind and patient with my daughter. The doctor was very helpful and able to answer all my questions.I also felt as though my concerns and thoughts mattered. The front desk staff was very pleasant and helpful as well. In closing every one in the office was very pleasant. My son had his first appointment today, he is 3 and was very nervous. Dr. Bair was great with making him feel comfortable. He left with a smile and a handful of stickers & prizes. Great job. Great staff. My child loves coming in! My daughter just went to Children's Dentistry of Trappe for the first time and the staff was so friendly. She previously went to a different dentist and would not even open her mouth! Dr. Bair was wonderful with her and made her feel very comfortable. This is a great place to take young kids. My 4 year old feels good about the dentist now and she is no longer nervous. She is so excited about her sparkly teeth! I would highly recommend this dentist. Dr. Craig and the people that are working here always greet us with a smile. They're friendly and very professional. The office/clinic is very clean and well maintained too, with up to date facilities. My kids enjoys their routine visit here! Took my son today and was greeted by friendly staff. Was greeted by name upon walking in by two VERY friendly receptionist. Gail was extremely helpful in setting my appointment and putting a claim in to my insurance since they are out of network for me. We did wait about 20 minutes or so past our appointment time but I expect this when kids are involved. I didn't mind as my daughter was thrilled as she had the entire playroom to herself and was very relaxed and had time to feel at ease there. Dr. Craig saw us and he was very friendly and took extra time with us trying to get a good look into a uncooperative mouth. I didn't feel rushed by anyone except my own child. He answered all of my questions and took time to show my daughter things. The only downside is that they do not take my insurance but I would recommend this practice. Very nice, clean and friendly. Everyone we encounter when we visit the office is wonderful with our kids. They take the time to explain exactly what is going to happen in advance and then continue to talk thru what is happening while it is taking place. They also make sure the child is calm and entertained while they are in the chair. The environment is very welcoming and kid-friendly, too. Great experience! We felt completely at ease here. Dr.Hans was very thorough in explaining everything concerning our 7 week old's upcoming frenectomy. The whole staff was very friendly. My daughter needed 3 baby teeth pulled to allow the adult teeth to come through. We received 5 star treatment from the time we made the appointment all the way to the follow up call from the Dr.that evening to check on my daughter. All 4 of my children have been receiving are from this practice for years and I have nothing but good things to say. My husband is a physician and I am a nurse. We highly recommend this practice. Helped three year old have a happy checkup. Counted teeth, allowed her to handle the tools, visited with her the whole time. She is excited to go back for her next checkup. Every time I take my kids to the dentist I come out happy and wish that adults had the same feelings leaving their dentists. We love the Childrens Dentistry of Trappe. Both of my kids have been going here since they were toddlers. The staff and both Dentist have always made them feel comfortable. Our latest appointment was for two filling for my 9 year old with Dr. Craig. The appointment was quick and there wasn't a single complaint from my son. I would recommend this office to anyone that has kids. My 17 year old son has been a patient of Dr. Eric's for 13 years. We used to come from King of Prussia, but now are located closer. We saw Dr. Craig for the first time yesterday and were equally impressed with him. The staff was pleasant as always and always take their time with him. My son has Asperger's Syndrome and finding a dentist that understands his needs has been a blessing. We have had such positive experiences at this office. Dr.Eric & Dr. Craig are wonderful! Highly recommend their services! The dental hygienists are also very friendly and knowledgable. The front desk staff is welcoming & makes scheduling appointments a breeze. Excellent Service but are not in my insurance network. That makes it very expensive for us. The staff is always polite and very customer focused. The appointments were done on time! The staff were very friendly and the doctor was great with my 3 year old son. I would highly recommend this office. I have four children and have used this Dentist for 16+ years. Their staff is courteous and professional, and the dentists and assistants are excellent. We were late for our previous appointment (20 minutes). I called ahead to let the office know. They assured me it was okay - "see you when you get here". These employees understand that things happen. Dr. Craig is awesome. My kids like seeing him now that they are older. They get us in and out in 30 minutes and do a great job! Staff are very professional and friendly. Thanks for a great visit today. Taylor had two cavities filled and she had a very stress free experience. She really feels comfortable at your office and the level of care you provide. As always wonderfull care. Thoroughly explained everyrhing. Excellent care. My son is a teenager now and everyone still makes him feel comfortable in the office and treats him so well. We have been going to Dr. Hans for over 16 years and my children have always received excellent care! Everyone in the office is friendly and helpful, and my children never mind going to the dentist-even on those rare occasions when they need a filling. 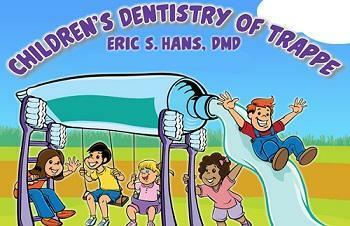 I fully recommend Dr. Hans and Dr. Bair for any child's dental health! My son is 4 years old and visited Dr. Eric for the first time today. The appointment went smoothly and every effort was given to explain what they were going to do in his little mouth. Thank you for your patience! Helena LOVED the hygienist (Rob). She said he was ffun & informative & it was over-all a GREAT dental experience! James came home from his dental appointment and was raving about the hygienist (Rob). He was extremely informative and fun to work with! We just love going to the dentist! Dr. Hans is fantastic. He makes the experience fun but remains informative and professional. We highly recommend this practice. My 3 year old daughter loved going to the dentist! Both the hygienist & doctor made her feel special & comfortable. They seemed to turn teeth cleaning into a game! Their facility is beautiful & accomidating. Great experience all around! From the beginning of our visit to the end I felt great warmth and satisfaction with the dental visit for my three children. The front desk was wonderful during check in and check out accommodating me with my needs. The girls were patient and friendly with my kids especially due to the fact that they get nervous when visiting the dentist. Dr. Craig was wonderful in explaining the children's needs and future procedures to me and then re-explaining to the kids. He took his time and was so kind and patient. Visiting the dentist can be as nerve racking to the parents as to the kids. However, the entire staff put us all at ease and made the visit pleasant. Another great appointment with a super nice staff!!! Our daughter fell and chipped the bottom half of her front tooth. The front office was extremely accommodating and found room for us to see Dr. Eric within two hours of placing a call. Dr. Eric was his usual friendly self, making our daughter feel more than comfortable! He worked hi magic and within 10 minutes, we left the office with a beautiful fixed tooth! You can't tell that anything was ever wrong with her smile. Thanks so much Dr. Eric to you and your amazing staff! We greatly appreciate your help!!! Everyone here was very calm, cheerful and helpful for a little one's first dental visit. Great Experience! Looking forward to return. This was our first visit for both our 3 year old boy and 4 year old girl. They both started off very shy and quickly adapted to Dr Craig. My daughter was even willing to sit in the chair all by herself to get X-Rays! They both asked when they can go back to get sparkles on their teeth. The staff here is very friendly and great with kids and we love Dr. Craig! I just had my 3 yeat old daughter there for her 1st checkup. She wasn't happy and cried but dr. Bair was great with her! My three kids were at the office for cleanings and seen by Dr. Bair. This is the only dental practice my kids have ever gone to. It is very kid friendly and we never have to wait. We are always in and out in less than hour. My twin sons were treated by the most patient dental hygienist and dentist! The care and concern shown to my boys was sincere and bottomless. Children's dentistry of Trappe never disappoints!! They always run on time and make what could be a terrifying experience for anyone the most pleasant experience especially for children!! We just love going there!! It was my son's first trip to the dentist, we were unsure of how he would do but after meeting the staff and seeing how well Dr. Craig did with our son we were in such relief and we know we choose the right place to take our son! The environment was positive and friendly, I highly recommend Childrens Dentistry of Trappe! Great Dentistry with Friendly Service to Boot! We love both dentists there and the staff is very helpful and friendly. The office is always nice and clean. Also, the kids enjoy the playroom and look forward to the treasure box after each visit! Dr. Hans is always friendly and informative. My daughter really feels comfortable with all of her dental appointments. Took my kids for their 1st checkup (4 and 21 month), and the staff were so friendly and the dentist was amazing. My kids want to go back again. So thats a GREAT thing. Love it. They have always been fantastic with my children… They have seen Dr. Hans since they were small and continue to go there as teenagers. No child enjoys the dentist, but they make it as pleasant experience as humanly possible. Had a very good experience. I brought my two kids in today for their cleaning and it went great. My daughter listed her concerns and I was able to relate them to the staff. They listened and was able to comply successfully. The doctor was equally awesome as he addressed all my concerns along with pictures and a recommendation to see an orthodontist. Great visit and no cavities for both children!! Dr. Hans and his staff are so friendly and professional. They make my children feel very welcome and at the same time very comfortable while being worked on. Their knowledge and expertise are exceptional. My children look forward to their dental appointments and would never even think of going anywhere else!! First visit for my 2 year old and I couldn't have been more pleased. Dr. Bair did a great job making us comfortable and talking us through each step. My son left happy with his visit, had clean teeth 😀, and excited to come back to the dentist. Great staff up front too, very inviting and willing to help us get acclimated. Highly recommend them to anyone! We love the staff at Children's dentistry of Trappe! Kind, considerate and caring! Colton loves coming to the dentist now that we switched to your office! He enjoys getting his teeth cleaned and feels comfortable during the entire visit. Carson's appointment today went smoothly. He was taken right on time and was comfortable for the entire visit. Dr. Craig and his staff are just awesome. We always have a good experience at children's dentistry at trapp. Service and staff are very pleasant. Dr Hans is great with Sean making him feel comfortable as well as joking with him to make him laugh. My son had to have a cavity done & 2 teeth pulled! they were excellent with him! The staff did a great job in making my 6 year old very comfortable during the procedure. She handled it like a champ and I feel it was due to the staff's expertise. Thank you! My six year old son needed a significant amount of dental work done. From the first time I called to schedule an appointment, they were kind, considerate and friendly. Scheduling an appointment was quick and easy. During the consult, things were explained to me in depth, and explained to my son in a way he could understand. Our appointment today went so well. The staff is incredibly friendly and professional. My son and I were put at ease by their kind and compassionate demeanor. Through the entire procedure, my son was reassured that he was brave and doing so well. He needs to go back again to finish the work we talked about at the consult. My son and I feel completely comfortable and at ease going back knowing he is being taken care of by an amazing team. Thank you so much for making my sons experience as pleasant as it could possibly be and for putting this mamas heart at ease! Always pleasant experience, just have to wait a bit sometimes. Dr. Eric is the best!!! Dr. Eric is so incredibly patient and kind to my son who is severely autistic. He works on my sons time frame allowing breaks in between and tolerating all of his quirks and behaviors in between checking his teeth. He does what is most comfortable and tolerable for my son allowing for a successful visit. Dr. Eric works one on one with him for all dental needs since he knows our son does best with consistency and routine. Even though his visits should be seen by a hygienist he knows our son does best with him and does all the work one of his assistants should be doing. He takes the time to listen to our questions and concerns and we are never rushed. Dr. Eric is a saint for her his patience and professional manner with my son. We are very very thankful and grateful for him. Took my daughter here for the first time today. Nice staff, great experience, dentist explained everything to her in kid friendly terms for a 5 year old. Will definitely stay with this practice. Always a pleasant experience. Always seen on time and the staff is ready when we arrive. Although we waited 20 minutes to be seen the visit was good. Dr. Hann engages with the kids and even when they are less then cooperative he keeps a positive attitude. My kids love the dentist! My three children actually enjoy going to the dentist! The entire staff is wonderful! From scheduling an appointment to having my son seen for the first time by a dentist, all aspects went great. The staff is friendly and knowledgeable and Dr. Bair was great at making my 2 year old feel at ease. loved this dentist! My son had such a great experience and they were great with him! As always a very positive experience. Entire staff is terrific! I brought my 19 month old in today for his first dental appointment. Everybody at the practice was great with my son. The doctor was playful and kind with my son. It was a really good experience. We will be going back in 6 months. Great place to take a young child. My son was so nervous, best dentist and nurses....We love it! I took my 3 and 4 year old children at the same time. Scheduling was easy! Dr. Craig took the time to explain every step both to me and my children. He was gentle and patient and it was a wonderful experience! Now if only they would accept our insurance! Dr Craig and Tammy did an amazing job at keeping my daughter calm during her first filling. They were calming and honest and made myself and my daughter feel at ease. We always have a great experience at the dentist. Our son has needed a lot of work and they are always so great with him. Friendly and helpful staff. They do great with my little one and my older ones. They are a great place to take a special needs child as they are calm and patient. My son is on the spectrum and they are so good with him. Dr. Eric was amazing. My child never even realized he was getting novacaine via a shot. The experience made his first cavity ever an ok experience with no fear going forward. My daughter was scheduled for a filling and a tooth extraction today. We were both a little nervous, but as usual, Dr. Hans' bedside manner kept her (and me) comfortable. She left smiling and we could not have asked for a more pleasant experience for something that could have been quite unpleasant. Thank you! Always a great experience! Dr Craig and miss Desiree are the BEST! Today was our first visit and I was very impressed with the staff and the office. Great job everyone. My 7 year old was extremely nervous to go to his appointment. He has been going to the dentist since he was 3 years old, but needed pediatric care. When we left he told me he was not scared to go back and can not wait to put on the special nose next time he goes. Thank you Dr Craig. It was a pleasure. My son just turned 5 and had to have 2 teeth filled. Dr. Craig and Miss Patty were just amazing with him. Patty was singing songs, making jokes, anything she could think of to make my son feel comfortable. Dr. Craig explains everything he is doing so the kids are not scared. No tears! Wonderful experience! Thank you! Great dentist and nice office staff! Very friendly and my daughter loves it. Thank you so much for seeing us today, Gavin was very comfortable with Dr. Bair and enjoyed his "treat" he received for being a good patient. The only complaint I have is that my son was brought back to the dental room for his cleaning and they were not ready. He had to sit in the chair for 25 minutes until the hygenist was ready. Kids shold not have to wait more then 10 minutes for their cleaning to start. You are also booking too many patients at the same time. The waiting room was flooded with people with no where to go. I assume this is why my son was waiting so long for his cleaning to start. He is only 5 so his patience is short. My 3 year olds first trip to the dentist could not have gone any smoother. The staff was very friendly. My daughter had fun which means she will be happy to go for her next check up. Dr. Hans is simply awesome. He is super friendly and patient. My daughter had an awful experience with a different dental practice and I thought for sure she was never going to let another dentist even look at her teeth. Dr Hans made her feel at ease, which I didn't think anyone would be able to. He took the time to explain to me what to expect on our next visit and to address my questions and concerns. Our experience here is the best one we've had with a dentist or doctor of any kind for that matter since moving to PA. The office staff is no less awesome. They're very accommodating and Gail is just the sweetest! Always friendly. They explain to you what's happening and how to better care for your children's teeth. They are great with helping a child with anxiety have a fun, relaxing experience. In addition, they are able to service children with multiple allergies. Miss Ashley as great with my daughter. My daughter was a little nervous about getting her first x-ray, but everyone was great! She had fun picking out her big girl toothbrush!! Thank you! The staff and Dr. Craig were awesome!! As always Dr. Eric provided a positive experience for my nine year old son. He made him feel completely relaxed and cracked jokes with him. Katie cleaned his teeth and was friendly and thorough. Everyone we met from the time we walked through the front door had a positive attitude and pleasant demeanor. I only wish I could find an adult dentist like this!! We were seen on time, Dr Craig was great with our 2 year old. We had two kids being seen and both kids were being taken care of at the same time to reduce our time in the office. Our kids love the TVs, games, toys and prizes they get when they are finished. I love that we are seen promptly. Everything was great et our appt. Dr Baer was very thorough and went over the procedure with my son. The procedure was over in no time. He explained the care and precautions for afterwards. Love it here. My son has been going since he was 2. i say dentist time he says YAY! no weekend hours which makes it hard for us 40 hours a week working moms..
My boys have been going to Dr. Hans for over 15 years and as always the service is excellent. He is a thorough, caring, fun doctor. You wont find a better doctor and staff. We love Dr Eric and though our 18-20 YO daughters will soon be moving on....they always loved visiting Dr Hans. From the time you walk in the door until the time you leave everyone is very pleasant and wonderful to deal with. Dr Eric is the one of the most pleasant people I ever met in my life. thank you Miss Desiree and Dr. Eric,you guys are the best! My 5-year-old son has had A LOT of dental work done, including an extraction and some crowns. When I told him he had another appointment coming up AND in spite of everything he's had done, he said, "That's ok, I like the dentist." I can't really think of a better recommendation for a kids' dentist than that. Dr. Eric is AWESOME. Dr. Eric and his staff are superior. My son is so fearful of the dentist due to previous experience. Dr. Hans and all the ladies who work there make it ok for Will. They handle him by going above and beyond. I can't say enough about them! Very nice staff, clean, very up to date and modern facility! Dr. Hans and staff are very nice---just wish getting spots was easier and hevwouldvget a partner. I also wish he would let the kids be a ill more vocal,,,,,my dirt is very sensitive to touch and tone doesn't like when the nurse holds her hands down during the prepping part. Dental Staff and Dr. Eric are very kind and compassionate. Dr. Eric is very personable and makes my daughter feel very comfortable during simple check-up and other dental procedures. We are so great full to have found such a wonderful practice. My Son started going for check-up when his first teeth began to show, a little over a year old. It has always been a good experience! The staff, hygienist & Dr. Hans all made my daughter feel welcome and comfortable. She is looking forward to her next visit. Thanks for making her check-up such a positive experience. Did not have to wait and the staff was very friendly. My children love visiting the dentist. The staff does not have you wait long at all. The staff gives Very positive responses to every step of the check-ups. Dr. Hans is very sociable, not stuffy! We have been going to see Dr. Eric for about 11 years. All three of my children like going. The staff is kind, caring and try to really get to know them. You don't feel rushed or like a number there. We really like going to see them. I am very happy with Dr. Hans and his staff. They are friendly, professional and great with kids. I am always pleased with my kids' visits. But, more importantly, my kids LOVE going to the dentist! (And my three year old had a double root canal and my four year old had a tooth extracted!!!!!!!) That is invaluable to me. Dr. Hans and his staff always provide a superior level of service for my children. My 4 1/2-year-old and 3 1/2-year-old always look forward to their visits. Awesome, as always!! Dr. Eric & his amazing staff provide treatment with a dash of fun whenever we are there. Loving hands and warm smiles make this the best place to go for kids and teens!! Mom likes him, too! Everything was great-Ms. Patty and Dr. Eric were excellent!!! Thank you!!! He used the laser which made the process totally pain free!!!! We have been coming to Dr Eric for years and we always have a great experience. From the friendly front desk, to the experienced technicians and hygienists and then to the always pleasant Dr Eric, my kids and I always walk away happy. This office isn't even in my network and I pay the extra money to come here, it is worth it! Love going to Dr. Hans. Staff is friendly and makes the visit enjoyable. Dr. Hans is friendly and fun. Dr. Eric and the ladies are the best. They are friendly and nice! I wasn't scared! We always have great visits with Dr. Eric. We are seen promptly and all questions are answered thoroughly. Our kids really enjoy going. The team whisked my kids into their chairs right away, and had them out and picking out their little gifts in no time. Haans runs a well oiled machine and is up on all the latest methods and procedures, which make a big difference in our kids' health- great place! Dr. Hans and his staff did a great job of making our Daughter Feel comfortable during her filling. She did not have any pain either during or after the procedure. Dr. Hans explained the reasons for certain components of the filling which was helpful. Upbeat staff, on-time appointments, excellent reminder system. Wonderful office. Dr. Hans and his staff are the best. The nicest guy and very patient. Excellent with the kids. My children look forward to going to Dr. Eric's office. Every visit my children have had has been great. Dr. Eric and his staff make my children laugh and smile. I recommend him to all of my friends and neighbors. We are always satisfied with our visits to Dr Hans office. My favorite part is the fact that the patients are seen at their appointment time. There's never a wait! There's no apprehension or anxiety coming from my daughter, either. She's very comfortable at the office. Thank you! Specially the Hygenist Mr.Rob...Very gentle and entertaining for young kids...And of course Dr.Eric is very nice too.Overall a good experience. Dr. Eric and his staff really know how to work with the kids and make it fun! As always, very professional and courteous. Thank you for excellent and prompt service. All of our visits have had excellent service from dentist, hygienists, and staff. My daughter has been coming here since she was a baby and is almost 5 now. She just can't wait to go to the dentist because everyone is so friendly and caring. Technically competent as well. Great toy prizes, too! Great. Reese is very comfortable with Dr Hans and I am amazed how well she does. As always friendly staff and no long waiting.